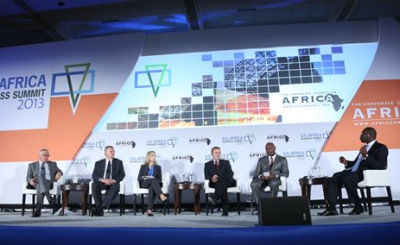 The 2014 U.S.-Africa Infrastructure Conference, sponsored by the Corporate Council on Africa, focused on building resilient cities. [The full program is available here.] The event, from October 7 through 9 in Washington, DC, highlighted how major metropolises in Africa are coping with rapid urbanization and the needs of a steadily growing middle class and will also feature current projects and novel ideas within infrastructure development including finance, ICT, water, tourism and transportation. Scheduled immediately preceding the fall meetings at the World Bank, the conference brought together African government officials, international infrastructure experts, and leading decision makers from the U.S. public and private sectors. 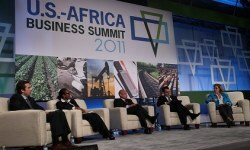 Erastus Mwencha, deputy chairperson of the Africa Union Commission, was keynote speaker. 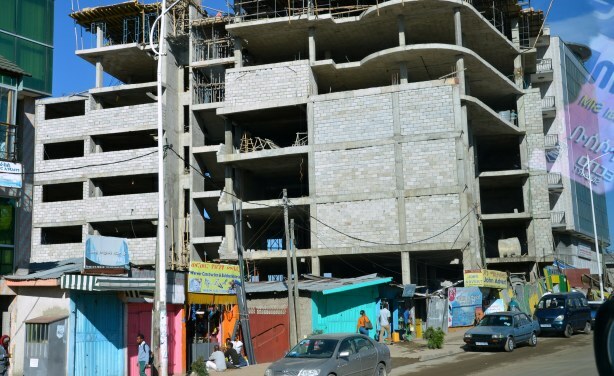 One of the many construction sites in Addis Ababa reflecting the capital city's rapid economic growth and population rise.